Looking to convert the locked differentials on your Axial AR60 axle to open diffs, or to replace your HPI Wheely King gears? These durable powdered metal gearsets contain all the gears needed to do so! This set contains enough parts to convert the front AND rear differentials on your truck. 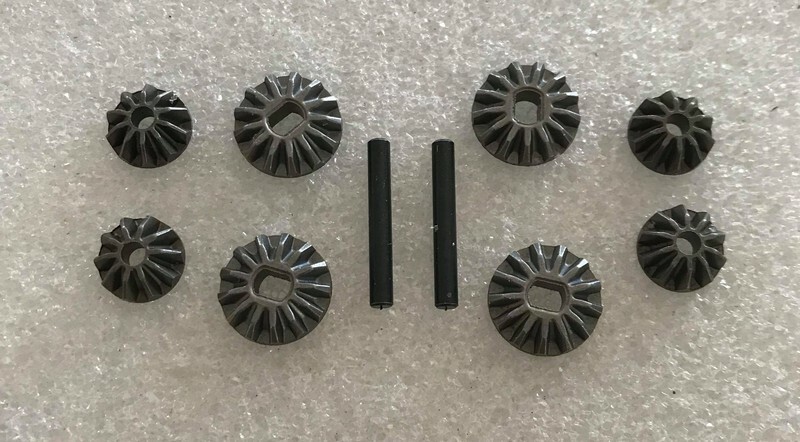 You wil receive 4 13T gears, 4 10T gears, and 2 gear shafts. Shipping Charges: Our standard shipping charge is a flat $5.00 for this item. This product was added to our catalog on 12/21/2017.